Jack the little rabbit wants to read his book in peace and is desperate for space away from all the cacophony around him. Out of frustration he draws a big red line on the floor to delimit where his own space is. After a while, he discovers having one’s space can also be a bit lonely, until someone notices and decides to cross the line. 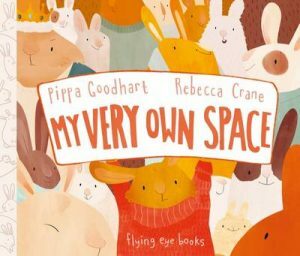 This is a really lovely story about the importance of personal space both others’ as well as one’s own. The text is simple and sparse, and the use of space on the page is brilliant at conveying Jack’s feelings. 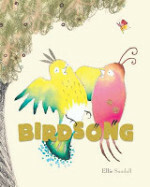 The soft-coloured gentle illustrations allow this potentially touchy topic to be tackled in a really comforting way. 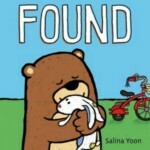 Delightful positive images of reading are dotted throughout this gorgeous little story which is perfect for bedtime. Caterpillars Dotty and Stripe are the best of friends and do everything together, until their inevitable transformation puts a stop to it; should they now stick to their own, like the other insects do? Thankfully the meadow offers a haven for all to play together, whatever their colour or shape. 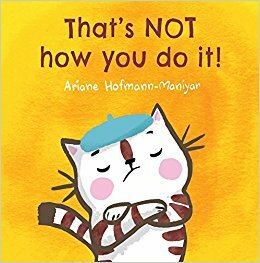 This beautifully illustrated story of self-acceptance, embracing differences and friendship is perfectly pitched at the youngest readers. 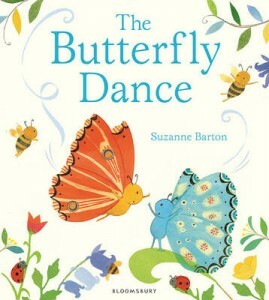 Barton’s signature style, brimful of patterns and gentle colours is truly heart-warming; she has a real talent for highlighting the beauty of the flora and fauna around us and will undoubtedly encourage readers to seek out a meadow to play in. Joyous! Lucy is a confident, dexterous, headstrong kitten, so when Toshi the panda arrives and does everything differently, she gets very cross: it is simply NOT how one does things. Her growing frustration is cut short by a kind gesture from Toshi, and Lucy comes to understand that doing things differently isn’t necessarily a bad thing. 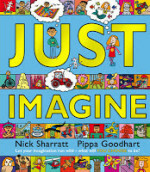 This is a wonderful little story which is highly accessible for young readers and focusses on cultural differences, a more unusual theme for this age range. The cute anthropomorphic characters and bright artwork are perfectly pitched and carry this crucial message triumphantly. 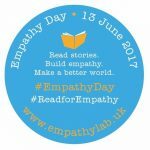 This is a great example of how picturebooks can help instil empathy, and one of my favourite on this theme. This is an intriguing and beautifully-rendered A to Z of the animal kingdom which dedicates a double-spread to each of the 26 animals featured. A short lyrical text on the left plate describes some of its physical or behavioural features while a full scale graphic illustration is found on the right plate. The detailing in the artwork is fascinating, making the animals look almost mythical (check out the Urial for starters!). This is the great strength of this book; while it offers basic information which can be used as a starting point for research, it also offers wonderful opportunities for creating writing and imagining stories around those creatures. 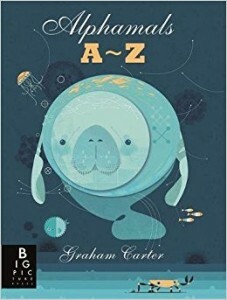 And a book that includes a manatee on its cover can do no wrong in my eyes. Enchanting!